Being quickly detachable makes cleaning easy. Brown Stubbythene manger housed in a strong steel frame with rounded corners for safety. 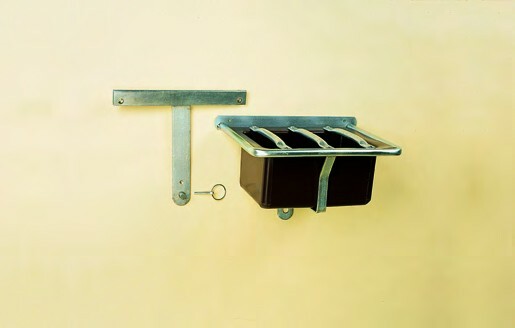 The bars are fully adjustable and wall bracket is included. Steelwork bright zinc plated. Now available as a non detachable manger which comes without the wall bracket but with holes for direct fixing. There are currently no questions for Stubbs Foal Feeder - be the first to ask one!